This product has been viewed 1577 times. 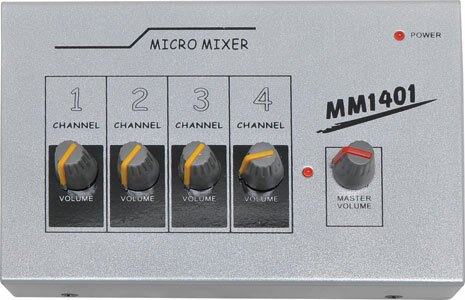 This compact mono mixer allows 4 channels of audio to be mixed via 6.35mm unbalanced connections. 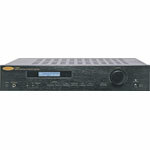 It features 4 x 6.35mm unbalanced inputs, 1 x 6.35mm unbalanced master output, master volume control. 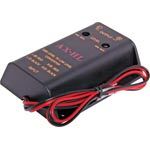 Can be operated by 9V battery or 12V plugpack. Sold separately. 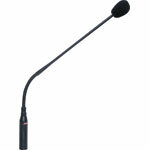 Are the inputs mic level or line level? Also is the output line level for connection to an amplifier ie RCA line input device? 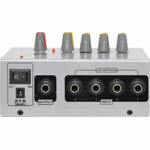 I want to connect 3 microphones and mix to go to an RCA line input of amplifier. Is this capable of doing that? 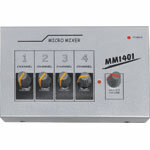 Hi, this mixer provides mic level inputs. 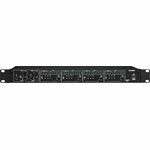 To feed into an amplifier on RCA inputs you will need a 6.35mm to RCA adaptor depending on your amplifier.